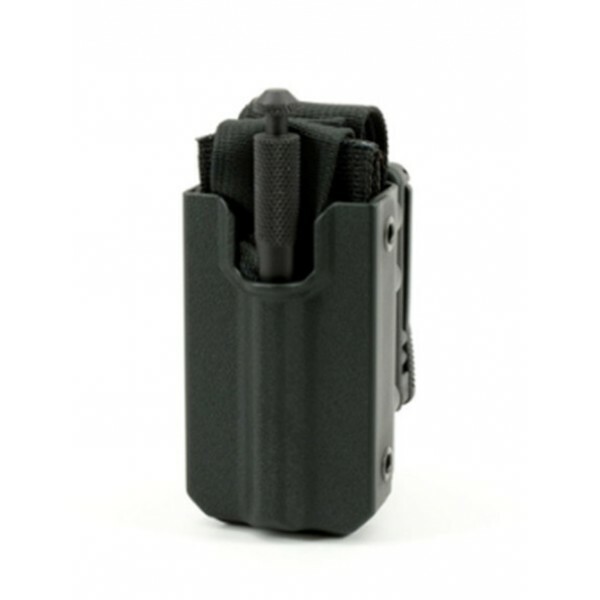 It can be worn on your duty belt, MOLLE/PALS compatible vest, or in the accessory position on your Safariland drop leg holster. The RIGID TQ Case holds your tourniquet securely in place utilizing friction, so theres no straps, buckles or flaps to deal with. It offers true one-handed gross motor skills deployment of the tourniquet even when your hands are bloody or wet. Just grab the exposed portion of the tourniquet and with a swift pull, it releases. The injection molded RIGID TQ Case offers numerous mounting options and ride adjustment. 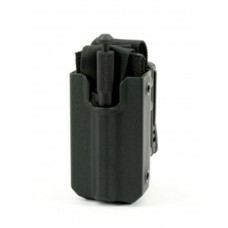 Its compatible with Blade-Tech, Safariland, Tactical Tailor and Raven Concealment Systems mounting solutions. Many of the mounting solutions can be mounted in the vertical or horizontal positions.